Information about horse: This mare was owner surrendered at the first of the year. She came to us underweight but sound. Once we had her healthy we started her under saddle. Sapphire went to her first show and came home with ribbons her first time out. She jumped a cross rail course and was ridden by an advanced beginner in the ring. 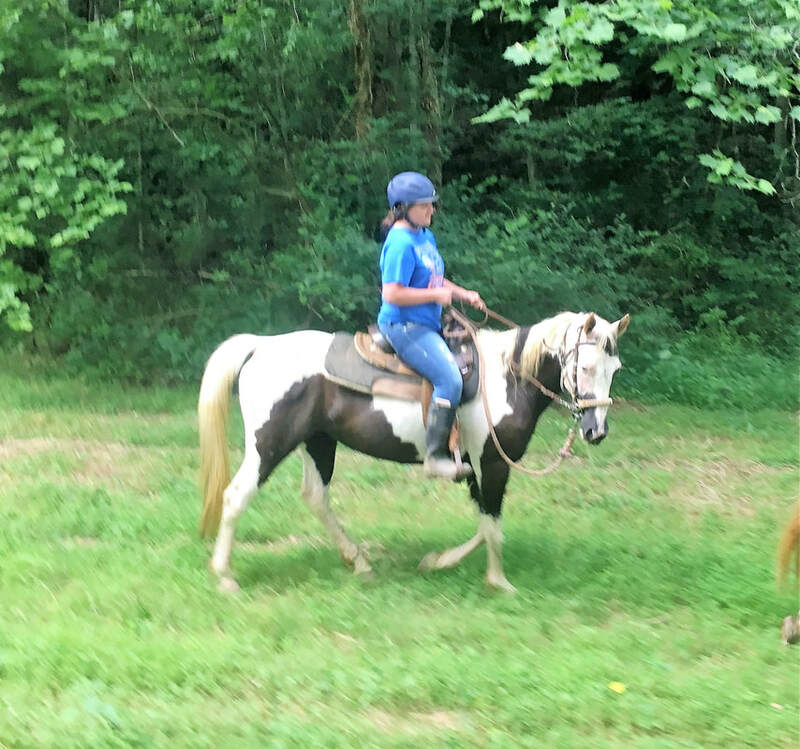 She has been ridden english and western out on the trails and in the ring. She will cross water, trot cross rails, and small verticals. Suitable for a confident advanced beginner or intermediate rider. Currently barefoot.